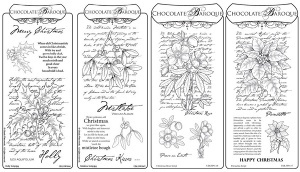 This multi buy comprises four DL rubber stamp sets - Holly Script, Mistletoe Script, Christmas Rose Script and Poinsettia Script. Superb stamps, a treat to myself. Love the finish of them and they are so easy to set and make a interesting card . 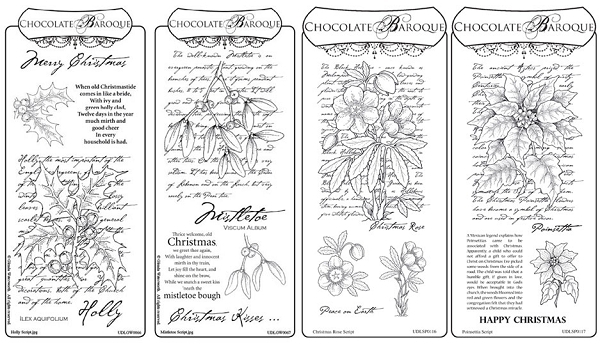 Chocolate baroque stamps are highly recommended by me. A traditional selection of images with a timeless script background. 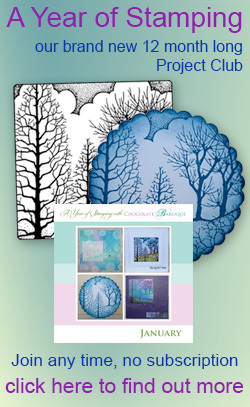 Ideal for making batches of Christmas cards of the same layout adding variety by using the different plant images. 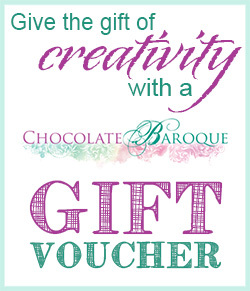 With judicious choices of image Ideal for mixing & matching too. Paula (PEP) These fill a very large gap in my collection of stamps. These stamp perfectly and are very versatile. Extremely good quality. I missed out when they were first issued so I was extremely pleased when they were reissued.